On 22-23 April 2017, in the frame of project “Promotion of Ecological Corridors in the Southern Caucasus” was held drawing competition “The Earth is our home!” among schoolchildren in the villages of Shaki. 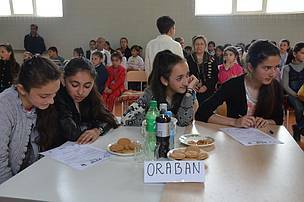 Schoolchildren from Bash Kaldak, Oraban, Bash Kungut, Bash Layisqi, Bash Shabalıd, Shin, Varazat and Bash Goynuk villages took part in the competition. 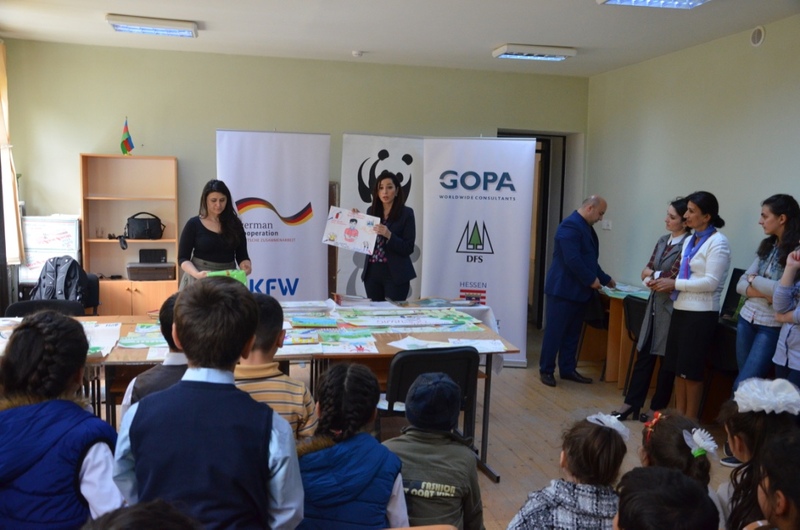 The main purpose of the event was to inform young generation about environmental issues and the protection of the nature, and to create a sense of responsibility to keep clean and healthy the environment in their regions. 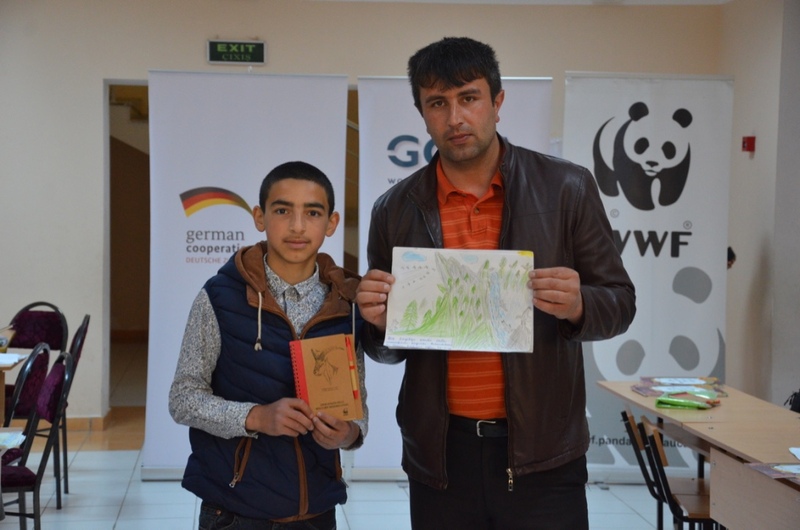 The competition has been submitted 665 works which reflected the global and local environmental problems and their solutions. 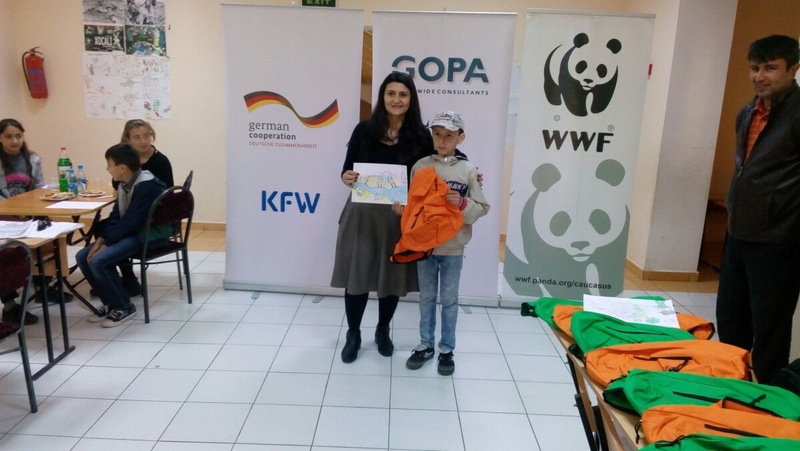 The winners of the best works were presented the back bags, t-shirts, notebooks with the illustrations of project pilot species and other valuable presents. Beside this, on 22 April “Earth Day”, the ecological knowledge competition was held among schoolchildren and the winners were presented valuable presents. 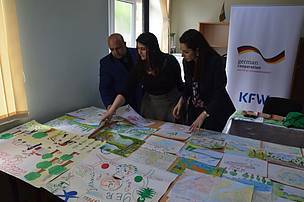 The pilot phase of the project in Azerbaijan is implemented in the Greater Caucasus ecoregional corridor with the funds provided by the German Federal Ministry for Economic Cooperation and Development (BMZ) through KfW Development Bank. The consortium of GOPA Consultants, DFS and HessenForst are providing consulting services for the implementation.